Geoff Thompson is a BAFTA award-winning writer, teacher and self-defence instructor. Geoff Thompson has written several books on self-defence, martial arts, and fear control, as well as Watch My Back, an autobiography about his early years and how he came to be a nightclub doorman working in his hometown of Coventry. 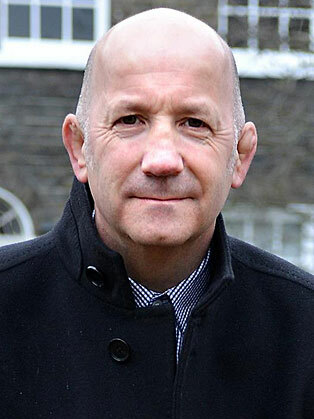 Geoff Thompson has written forty books (published in 21 languages), five multi-award-winning films, three stage plays (he was invited into the prestigious Royal Court writers Group) and hundreds of articles, many published in national magazines and broadsheets. Geoff’s autobiography ‘Watch My Back‘ was adapted into a major motion picture called Clubbed. It premiered in London’s West End and Paris and was nominated for a BIFFA award. He has also adapted his first novel, Red Mist, into a feature film for cinema. Geoff’s third feature film for cinematic release, (Romans) has been optioned by The Tea Shop & Film Company in London, and his latest stage play (Fragile) premiered at the Belgrade Theatre in 2012 to 5 star reviews. In addition to his books and films, Geoff Thompson has written and presented a series of martial arts and self-help DVDs. In 1995, he and his self-defense school featured in the Channel 4 documentary Passenger. In 2004, Thompson won a BAFTA award for 'best short film' for his screenplay "Brown Paper Bag".